Student success is the bottom line. Allovue helps allocate resources so you can focus on district goals. A line of artisan, transparently sourced poultry products that are convenient for busy families. ProDay gives you access to workouts from professional athletes and celebrities. An international keynote speaker who draws on her experience advising high growth corporations and building a portfolio of investments, Kelly Keenan Trumpbour enjoys connecting with her audiences. 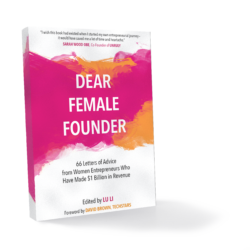 She brings a personal touch to topics such as how to embrace risk, how to create leadership opportunities, fostering intraprenuership within corporations, and how to view your idea through the lens of an investor.